Real estate referrals occur when another licensed real estate professional, a former client, or a referral company recommends your real estate services to someone looking to buy or sell a property. In this guide, you’ll learn the types of real estate referrals, where to get them, and how to close these fantastic leads. Maximize your productivity by both actively generating leads and having passive leads gathered while you sleep. Even the best agents have to rest sometime! Using Zillow Premier Agent can help you capture leads 24/7, creating a well-rounded lead generation strategy. Real estate referrals are the best leads, no matter what the stage of your career. 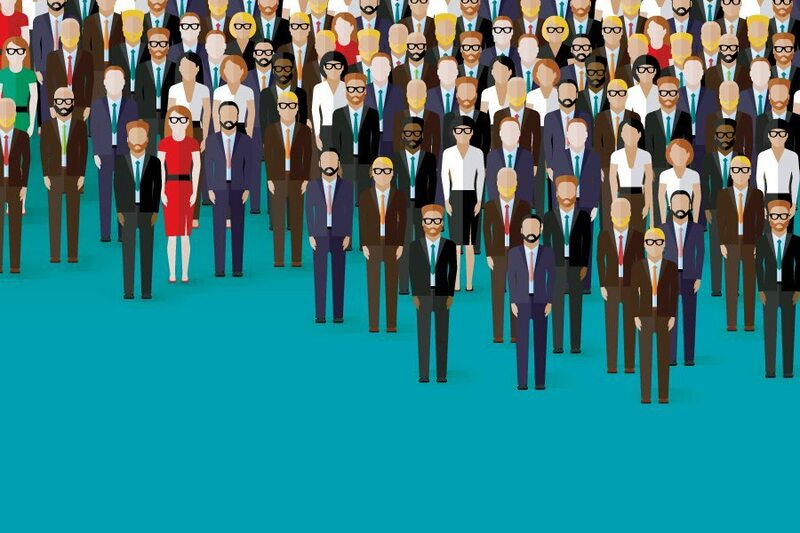 People are more likely to trust who their friends and acquaintances recommend, but they’re not the only lead generation source. 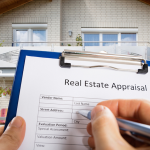 Below you’ll find a descriptions of three types of real estate referrals and how to get them. When you need to trust your car to a new mechanic or even your haircut to a stranger, who do you ask? Friends. A home is likely the largest purchase or sale someone will complete, and often people turn first to those they trust. Every client is a future line of referrals, but as you can see below, you also have a network that you shouldn’t be shy about tapping. If you have a strong connection or provided great customer service for your clients, many will refer you without any prodding at all. However, you will greatly increase your likelihood of getting referrals if you ask for them. Asking for referrals can happen very organically in ways that help to strengthen your relationship with the client. Two popular ways of asking for referrals from former clients are after the closing process and in the form of a pop-by gift. Though we recommend some amazing closing gifts, including a note with that gift can go a long way to staying top of mind. Some agents forgo the ask after closing, and instead opt for a pop-by gift once a former client is settled in. Here are some pop-by ideas you can use, and be sure to include a small note or marketing materials that suggest a referral. You might include copy like “Your referral is the highest compliment you can give us” on a notecard, your website, email signature, or other marketing material that is stuffed in the card as a more subtle touch. While your friends and family will almost certainly refer you without much prompting, other people in your circle might need a gentle reminder. Generally speaking, you want to reach out to people in your circle who serve the community in some way, and particularly those who help people through transitional phases in their lives. 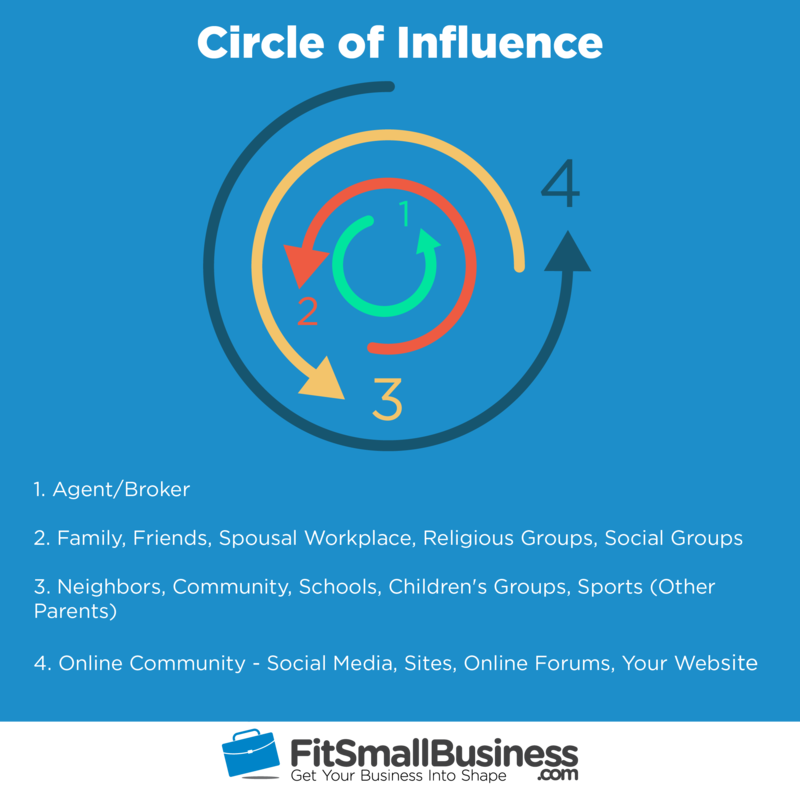 Here are some of the people in your circle that you should reach out to for referrals, and three examples of how to do it. Local wedding planners, attorneys, café owners, and mortgage brokers in your farm area may all have a wide-ranging impact on others in their community. Ask to pin a flyer at the local coffee shop, network with the mortgage broker, buy lunch for the busy local wedding planner, or schedule a coffee with an attorney who works with divorce. People who are in transitional phases of their life, or are simply busy living their lives, may be looking for competent services and have home needs. Take the time to have brief conversations, see what their needs are, and have a solution to offer them. Fellow parents are wonderful networking opportunities. Often families are expanding, looking to stay in the same school district but looking for a new home. Be open about what you do for a living, and periodically throw in a deal you’ve closed or the great house up the street you sold in a week. Casual conversations are best, and whether at the playground or in the classroom helping out, these are often wonderful gateways to future business. Almost every community has a Facebook group these days, and, as a realtor, you want to be there. Give feedback, be a positive contributor, and when the right listings come, be sure to post them. Especially in competitive markets, a “coming soon” post will quickly build you a reputation as an insider in your farm area and before you know it, people will be messaging you about other listings you might know about. In my neighborhood, it was a real estate agent who started our community Facebook group. It’s now a thriving and active community with information from snow plowing to local events, and, consequently, one of her primary real estate referral sources. If you do get a real estate referral from someone in your circle, don’t forget to follow up and thank them. One of the best ways to follow up and thank someone for a referral is a quick handwritten thank you letter along with a small gift. A gift certificate to a local café, a box of chocolates, or a nice bottle of wine are all appropriate gifts to thank people for referrals. However, be sure to always check your state law around gifts to non-broker real estate referrals. In some states, you may be limited in how much you can and should spend. It’s usually recommended that you spend no more than $10 to be prudent. Referrals from former clients and your circle will usually have the highest closing ratio of any lead generation source. While online reviews are wonderful (and you should definitely encourage clients to leave them), most people will take the recommendation of a friend, family member, or trusted colleague much more seriously. Real estate referrals happen all the time in casual conversation, so be sure that everyone in your circle is well aware of what you do and how well you do it. I’ve personally given my own realtor three clients (all of whom closed on a home) since moving 18 months ago. Have someone singing your praises and talking you up. Not only do you tend to get great clients, but best of all, these referrals are free of charge. As long as you prioritize and systematize asking for referrals from former clients and your circle, your ratio of closed deals that come from real estate referrals will increase as your career advances. The data bears this out. Have a look at the chart below to see how the percentage of deals closed from referral clients increases as experience increases. Client referrals become a significant source of business as you progress in your business, so it’s smart to lay that foundation now. As you can see from the chart, the median percentage of referral business for an agent with two or fewer years of experience is zero percent, while the median percentage for agents or brokers with 16 or more years of experience is 36%. Can you imagine how much less time, effort, and money you’d spend hunting leads if you got more than half your business from former client referrals? While referral leads from your circle or former clients really are the best leads you can get, the downside is that people in your network are generally not very good at vetting those leads. It is inevitable that at times they are going to send you unqualified, unprepared, or unrealistic real estate referrals along with the good ones. If (or should I say when) you get a bad lead from a former client, do everything in your power to accommodate them, but remember that honesty is a big part of being trustworthy. If their financials, criteria, or time frame are unrealistic, tell that to the lead so neither of you waste time. Should You Offer Finder’s Fees? Legally speaking, only a licensed real estate broker can charge or receive a referral fee for a lead. Instead, you can offer a finder’s fee, but you need to be careful that the person sending you the referral understands the law. Since there is quite a bit of confusion between “referral fee” and “finder’s fee,” let’s quickly go over the difference. They are both payments made to an individual or company for referring a real estate lead to a real estate broker. The only difference is how that individual or company is allowed to acquire the lead in the first place, and how involved they can be in negotiating any terms of the deal. Unlicensed individuals or companies may not under any circumstances solicit your services or any real estate services in order to attract leads. Most importantly, they are also not allowed to be involved in negotiating the real estate transaction in any way. In other words, they can’t act as a proxy for their friend and try to negotiate seller commissions or broker’s fees with you or anyone else. As long as a former client, friend, or family member is only passing along a lead’s contact information to you and is not soliciting your services or involved in the deal, you can offer finder’s fees for referrals. That said, it shouldn’t be treated strictly as a quid pro quo. There are two very compelling reasons for this. First, it can make you seem a little bit desperate. Second, and more importantly, you run the risk of encouraging them to unwittingly break the law. It is often best to avoid finder’s fees if at all possible, and take the referral for the kind gesture it was. After referrals from former clients or your circle, referrals from other real estate agents or brokers will be your next best source of real estate referrals. As long as the lead trusts the judgement of the agent or broker who refers you, these referrals should have almost as high a closing ratio as those from your own former clients or circle. That said, not all real estate referrals from other agents or brokers are created equally. The quality of leads you get from your colleagues can vary widely. For example, you might get passed a semi-cold internet lead a co-worker doesn’t have time to handle, or you may be given someone who was referred by your colleague’s former client or friend. While most good agents or brokers will give you as much information about a lead as possible, always ask if you’re unsure. Remember, you may have to prove trustworthiness and competence to a colder internet lead than you would to a referral from a former client or friend. Make sure you know as much as possible about the referral lead you’re given. As with the other sources of referrals we discussed, you’re unlikely to get many real estate agent referrals from other agents or brokers unless you ask. This is where networking pays off. You can try building your relationship with a few top producers in your office, or network with real estate agents in other states that are comparable to your own. For example, many people who live in New York City retire to Florida. If you’re a real estate agent in Florida, networking with a New York City real estate agent might yield great real estate agent referrals. LinkedIn and ActiveRain are also great places to network with agents from other states. 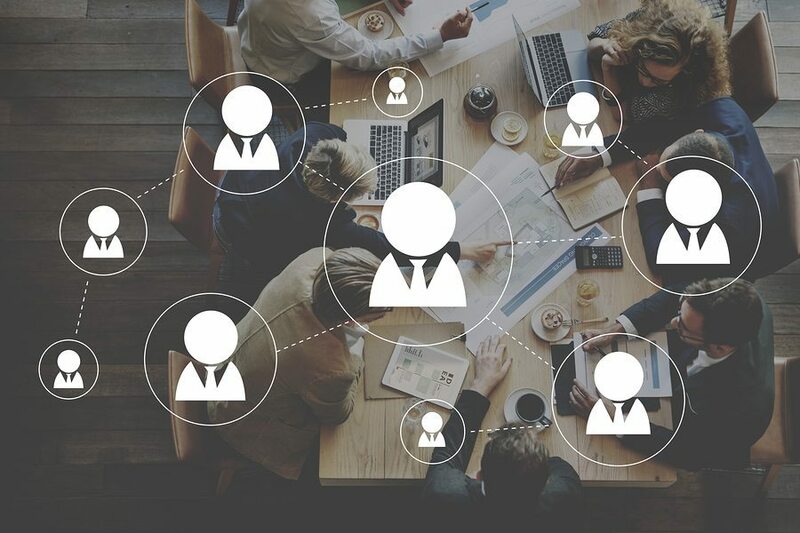 While networking online can be a great way to meet other agents who can send you referrals, if you work for a large national franchise, you may already have an in-house network where you can find agents who are offering referrals, or whom you can send your own referral leads to. 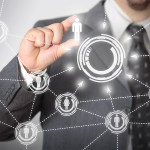 Talk to your managing broker to see if your agency already has a referral network in place. Unlike referrals you get from your circle or former clients, referrals from other agents or brokers are generally not free, and there are legal issues to consider as well. First, let’s go over how much you’ll pay. While referral fees can vary widely depending on how well you know the referring agent, the quality of the lead, and a whole host of other factors, generally speaking, you should expect to pay roughly 25% of a transaction side after closing for a sales referral lead, or 10% for a rental referral lead. The vast majority of agents we spoke with quoted similar referral fees as standard for their agency or region. For example, let’s say you’re an agent in Florida who gets a referral client from a colleague in New York City. The client is looking for an oceanfront condo in Miami Beach, with a budget of $850,000. After you find them a suitable home and close the deal, the gross commission will be $51,000. However, since you only represented the buyer, half of the commission (known as a transaction side) will go to the agent who represented the seller. That leaves $25,500 for you to split with your broker. The referral fee will be 25% of this transaction side, or $6,375. You then split the remaining commission, $19,125, with your broker. Legally speaking, referral fees between real estate professional can get a little bit thorny. Only a licensed real estate broker can collect or charge a real estate referral fee. This means that in a real estate agent referral, if you’re an agent and make a referral agreement with another agent, that agreement will technically be between your designated broker and their designated broker. This also means that your mortgage broker or anyone else without a broker’s license cannot legally demand a referral fee for sending you a client. In order to avoid running afoul of the law, always make sure the broker who you get your referral from has a license in good standing. Don’t be afraid to ask for proof in writing, or you can check your state’s division of licensing to look up their license status. As with any arrangement involving money, always remember to get everything in writing. Handshake deals can be the kiss of death in this industry. An extra 15 minutes filling out a referral form or drafting your own is much better than a potential lawsuit six months from now. For reference, here is our extensive article on real estate referral fees that includes a contract template you can build upon. Make sure you understand your state’s disclosure requirements for referral fees. Generally speaking, most states will require you to disclose your payment or receipt of a referral fee at closing. If you’re in doubt, ask your local realtor’s association or in-house legal counsel. Lastly, remember that while you can and should network with out-of-state agents to get referrals, you cannot advertise your services or listings in states where you do not have license reciprocity. Real estate referrals are a thriving industry. No more waiting for the next networking event with a number of websites that can get you great leads and making commissions. We explain the differences between matchmaking and referral exchange sites, and give you three sites you can trust for more real estate referrals: HomeLight, Agent Pronto, and Referral Exchange. The first are called matchmaking websites. Much like a dating website, these websites encourage brokers and agents to join their network to get matched with buyer and seller leads who are looking for a good agent who can help them find or sell a home. The second type of websites are known as referral exchange websites, or real estate referral companies, that are simply online referral networks for real estate brokers. Real estate professionals can submit leads and collect a referral fee, or sign up to work with leads and pay other agents a referral fee. The sites take a small cut of the referral fee as a commission. Like the referral networks of the old days, most of these sites are pretty strict about who they allow to join. They generally only want agents who have a proven track record of recent, successfully closed deals. This is mutually beneficial because home buyers and sellers joining these sites only want to be matched with a trustworthy, competent, and charismatic agent. Before we talk about the three leading real estate referral companies you can try, let’s examine the fine print. The main downsides to matchmaking sites are the costs, generally at least 25% of a transaction side, and the relative coldness of the lead. While many people put faith in the wisdom of algorithms to match them with a date for Saturday night, they are more cautious about being matched with a real estate agent by a computer. Because of the relative coldness of the leads, you might have to have to work a little bit harder to establish trust and competence in order to win over your lead and close a deal through a matchmaking service. Real estate referral companies also have costs to consider. Referral companies generally charge a fee on top of the referral fee (generally 10%) paid to the broker supplying the referral lead. If you work for a large national franchise and have an in-house referral network, then it will probably make little sense to shell out an extra 10% to sign up with one of these services because you’ll likely have existing referral networks in place. If you don’t, then you might find that 10% is worth every penny. As long as the website is legitimate, there aren’t any major potential legal issues with getting matched with buyers or sellers on a matchmaking website. As long as you are current in your licensure, have a solid history of transactions, and you’re willing to pay their referral fees, you’ll get leads. That said, some matchmaking sites like HomeLight pull MLS data to verify your recent transaction history. That means that they generally need participation from your MLS to operate. If that relationship were to sour, there is a slim possibility that the company might go out of business. For referral exchange sites, you only need to make sure that the broker offering the lead or accepting your lead has a current real estate broker’s license. Here are three of the more popular matchmaking and real estate referral company sites and a quick overview of how they work. Backed by Google Ventures, HomeLight is one of the largest and most popular real estate agent matchmaking sites online. The main selling point of HomeLight, aside from the credibility of being backed by Google, is that they treat their agent members in an egalitarian way. That means they rely heavily on transaction history when matching leads with agents. For example, if a lead is looking for a $1,000,000 home in Park Slope, Brooklyn, they will only match them with agents who have recently sold similarly priced homes in Park Slope. If you have a lot of experience this can be great, but if you’re just starting out, getting good leads from HomeLight might be an uphill battle. Like HomeLight, Agent Pronto pulls MLS data to match home buyers and sellers with the most qualified agents for their needs. 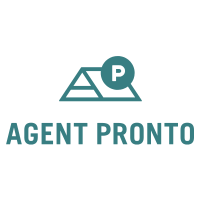 Though they’re a bit smaller and charge a slightly higher fee, Agent Pronto also acts as a referral exchange. You can submit your referral leads to Agent Pronto, and they will match them with a qualified agent and pay you a referral fee. Referral Exchange offers matchmaking via their consumer facing site TopAgentsRanked as well as the ability to join the site to submit your referral leads to Referral Exchange. They don’t charge a transaction fee per closed referral deal like Agent Pronto does, so you make more money on leads that you submit. While Referral Exchange charges agents a one-time fee of $995 to join the site, this is actually a pretty good thing. Once you’re a member, you can submit as many leads as you’d like. Their service is also incredibly popular with agents. They process close to 15,000 referrals through their platform every month. In any professional relationship, there are three qualities consumers look for when choosing someone to work with: trust, competence, and charisma. In that order. Closing real estate referrals requires that you showcase your best qualities, but that you also have a record of performance. You would be hard pressed to find anyone willing to work with someone they don’t trust or they do not find to be competent. Be sure to have online reviews and other ways that are discoverable for referrals to learn more about you. Places like Zillow, where you can be reviewed, can be very useful for potential clients. However, don’t put too much pressure on yourself to have a certain personality type, and just be yourself. While it can be an important factor in choosing a professional, many people are willing to work with someone who is not charismatic. When someone refers you to a friend, colleague, or client, it means they are personally vouching for your trustworthiness and competence. According to research by Nielsen, 84% of people from 58 countries around the world agreed that they trust recommendations from friends and family over any other form of advertising. With leads found online, be aware that you have to start at square one and prove your trustworthiness and competence before they will even consider working with you. Even if they do consider you, a professional relationship started from scratch will always be more fragile than one started from a trusted source. A mistake or oversight on your part can make a colder lead instantly distrust you, while a referral lead might give you the benefit of the doubt. Real estate referrals from former clients and your circle of influence can’t be beat in lead generation. They’re easier to close as they will likely already trust you and assume you’re a competent agent. However, there are many options to get leads that can be nurtured and converted. Referral leads from other agents are your next best bet. Real estate agent matchmaking sites and real estate referral companies can also be a great source of leads, and a great way to pass along leads you don’t have time to work with. Be sure to have Zillow Premier Agent to gather even more leads, and have clients review you on the site. While any one method of obtaining real estate referrals is likely not going to be exclusive, you can build a lead generation powerhouse by diversifying your presence and establishing credibility. Thank you for all of your insights on this topic. Thanks Lindsay! Check out our content on The Close, it’s our sister website dedicated to real estate pros. Very insightful. We’re are starting to see new models for referrals online now. Actually, you can find better details online that anyone a friend might know. Very informative article. Thanks for sharing Emile! I’ve always enjoyed reading your articles. I have a question, If I’m a Real Estate Broker in California, am I able to collect referral/commissions from all 50 states? Also, what if the buyer/seller hasn’t entered into any binding agreement but I refer them over to an out of state agent that has agreed to pay referral/commission? Thanks! You can definitely collect a referral fee for sending your client to another Realtor in a different state, but you cannot enter the state to help with the transaction in most cases. You just need to make sure you have a referral agreement in writing with the other Realtor. You can use sites like Referral Exchange to automate the process. Great thanks for the response! It seems like as long as you have a referral agreement in place with another Realtor, it doesn’t matter what states he/she works in. Yeah, that should work. 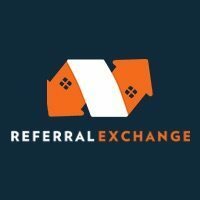 Sites like referral exchange exist for this very reason. Thanks Emile this is great info. I like Homelight the best because they have your rating on your profile from your transaction history. 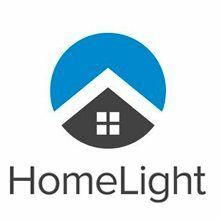 I agree, Homelight is a great resource for referrals.